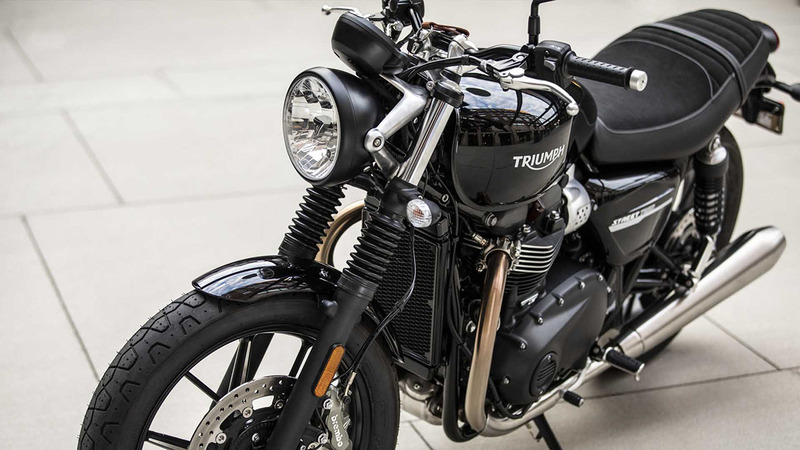 In a major step forward for Triumph's most successful custom classic, the Street Twin has been designed to deliver more power (up to 18%), more performance, a higher specification for improved rider control and comfort, new first-in-class technology, and more contemporary custom style. 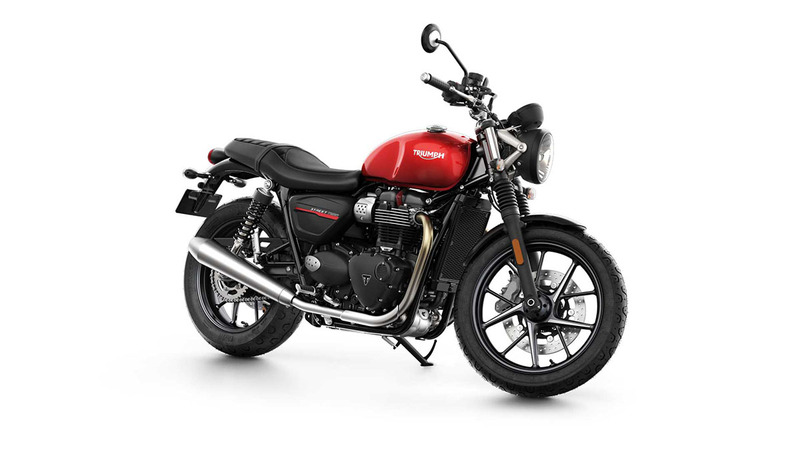 This bike truly offers all the beauty and authentic character of a real modern classic, with incredible torque, soundtrack, handling, and riding feel. 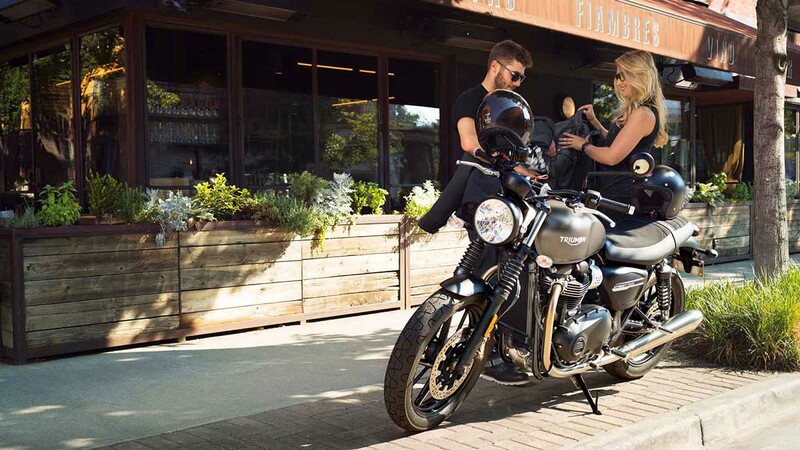 And with over 140 accessories, the Street Twin has been built to personalise so it's easy for anyone to customise their ride by enhancing their bike's bodywork, detailing, and functionality to reflect their own individual riding needs. 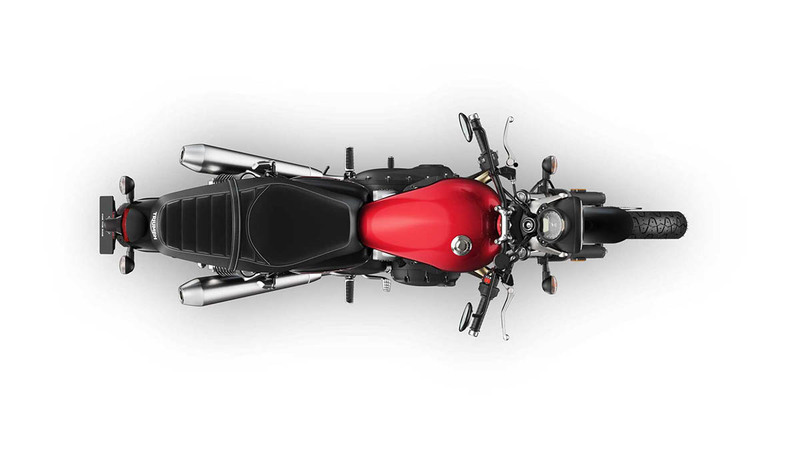 The unique character of the Street twin comes to life through the all new 900cc ‘high torque’ 8 valve, parallel twin engine. As the name suggests it delivers a massive peak torque figure of 80Nm at a low 3200 rpm — an amazing 18% more than the previous model, delivered low down and across the whole rev range. 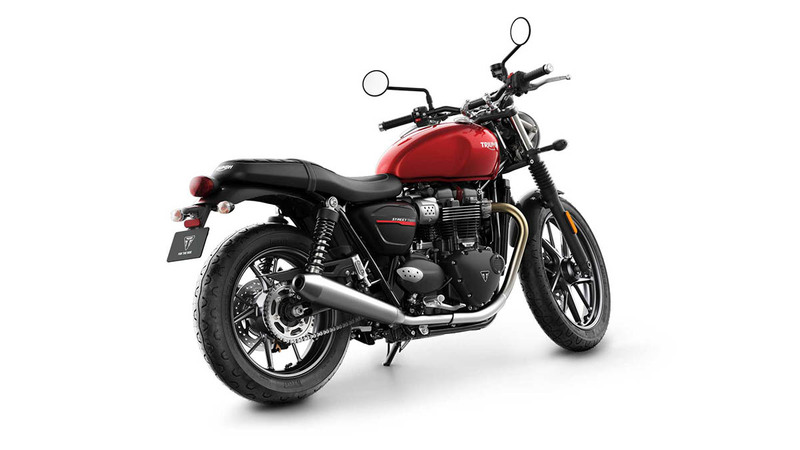 Benefiting from the pin-point accuracy and instant throttle response of Triumph’s next generation ride-by-wire fuel-injection and engine management system, the Bonneville Street Twin is engineered with a charismatic 270° firing interval for an immaculately smooth, linear power delivery through the smooth five-speed gearbox. 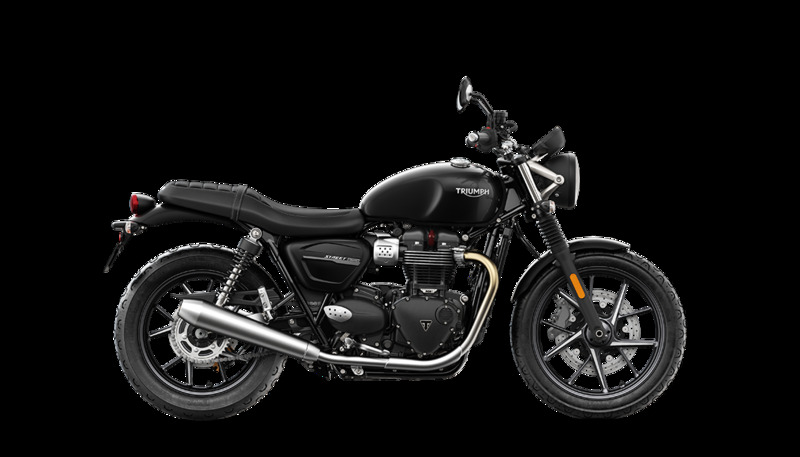 A contemporary take on the original Bonneville silhouette, the new Street Twin has sharp, refined stripped back styling, inspired by the New Wave Custom Scene. Clean lines and minimal bodywork for a youthful overall look. 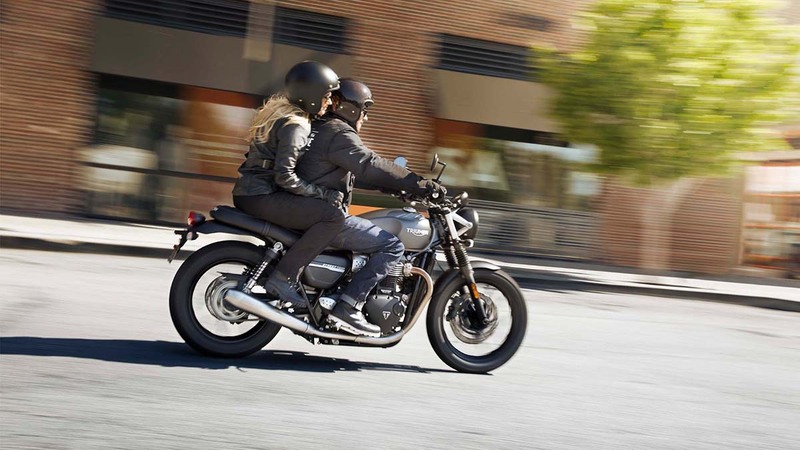 The contemporary safety standard, Triumph's anti-lock braking system brings a new level of control to the Street Twin. 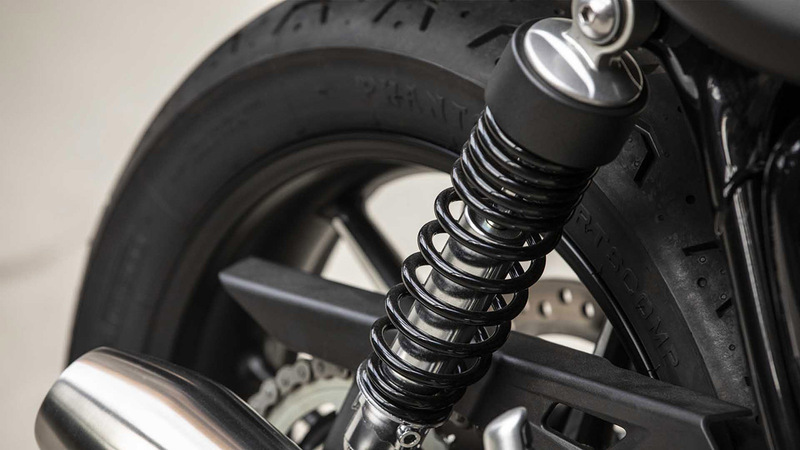 The Street Twin delivers a class defining riding experience through a chassis and suspension design tuned for refined, modern-day intuitive handling on real roads in the real world. 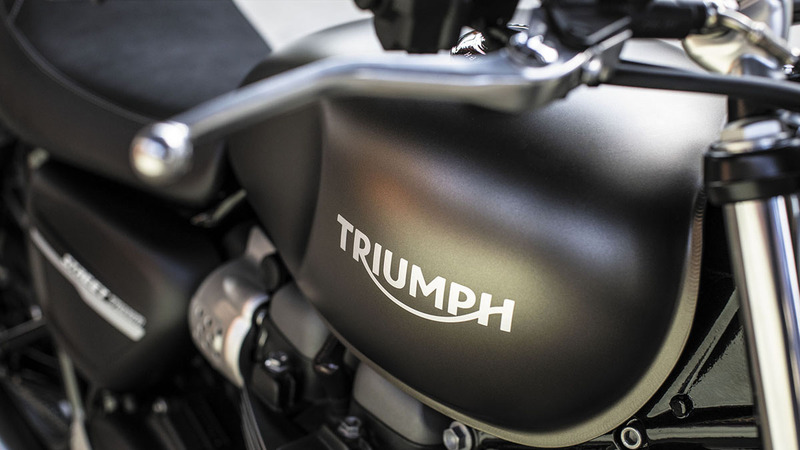 Combining Triumph’s signature ride dynamic of neutrality, agility and stability with advanced levels of comfort and control, for an engaging, easy-going and fun riding experience. 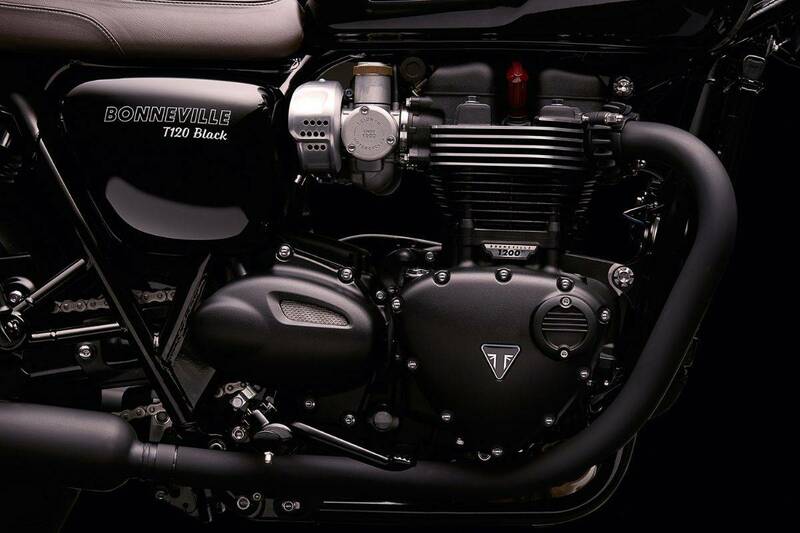 The new Bonneville 900cc engine has been beautifully styled with a much higher level of detailing and finish to incorporate styling cues from the legendary Bonneville engine silhouette whilst incorporating contemporary engine components to carefully maintain that truly authentic look. 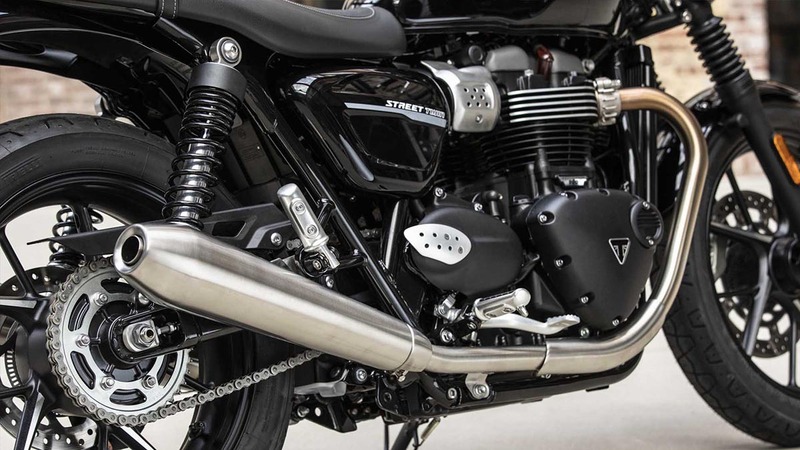 The all Street Twin's exhaust delivers the unmistakable sound of a British twin, with a rich and raw note that matches its character, tuned to a level you can feel as well as hear. 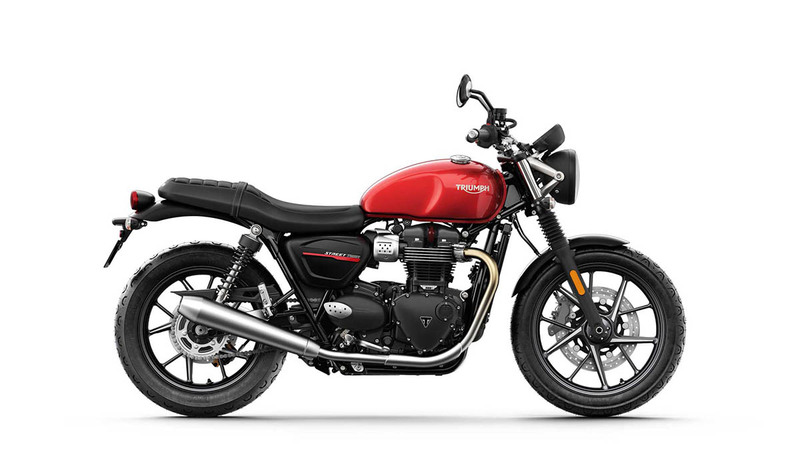 The Street Twin features stylish, high quality details and finishes, including cast wheels, a dedicated Street Twin fuel tank, contemporary graphics all enhanced through an exciting range of tank colours — Cranberry Red, Aluminium Silver, Matt Black and Jet Black. 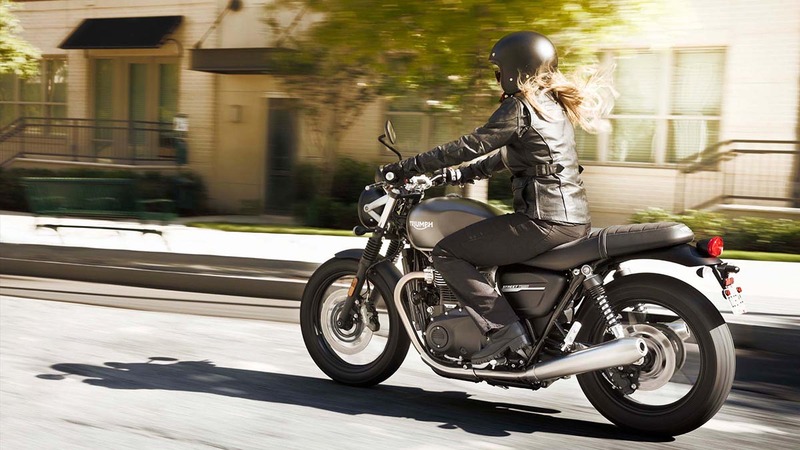 With a low seat for a comfortable riding stance, combining footpeg, handlebar and seating positions, a narrow front of seat area for improved 'stand-over' ergonomics, more substantial seat foam and greater suspension travel, the Street Twin is our most accessible new Bonneville. Behind the 900 engines stylish exterior sits a cutting edge liquid cooling system designed to minimise its visual impact whilst achieving cleaner emissions and enhancing fuel efficiency â€“ delivering a massive 36% better fuel economy than the previous generation Bonneville. 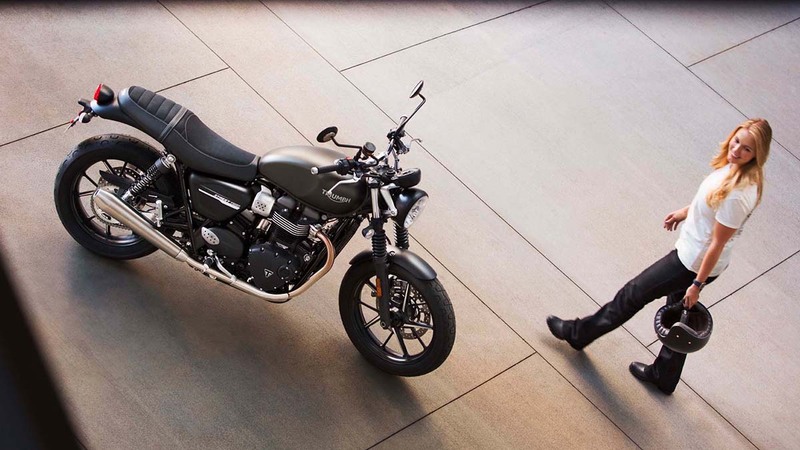 Bringing a light touch and feel to the clutch control of the Street Twin, the advanced torque assist clutch system makes it easy to ride, and ride longer. 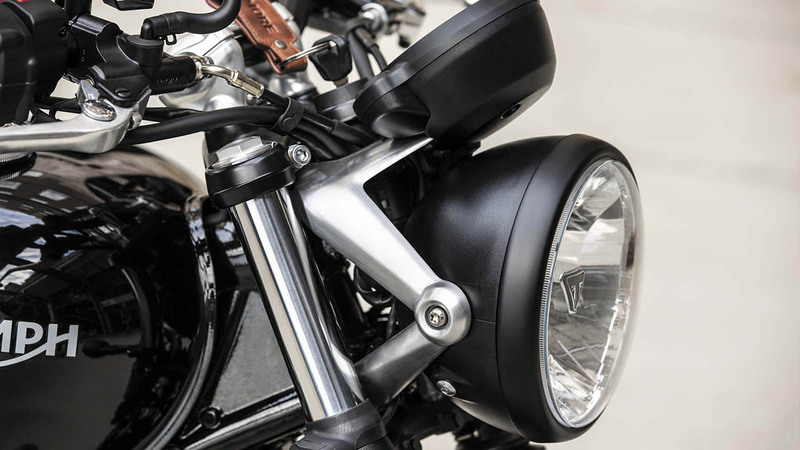 The Street Twin switchgear presents a simple fingertip control scroll button for easy access to the key features on the stylish digital clock. A distinctive LED rear light, incorporated into a stripped back and stylish tail set-up, bring a distinctive signature light pattern and power efficiency for long term durability. 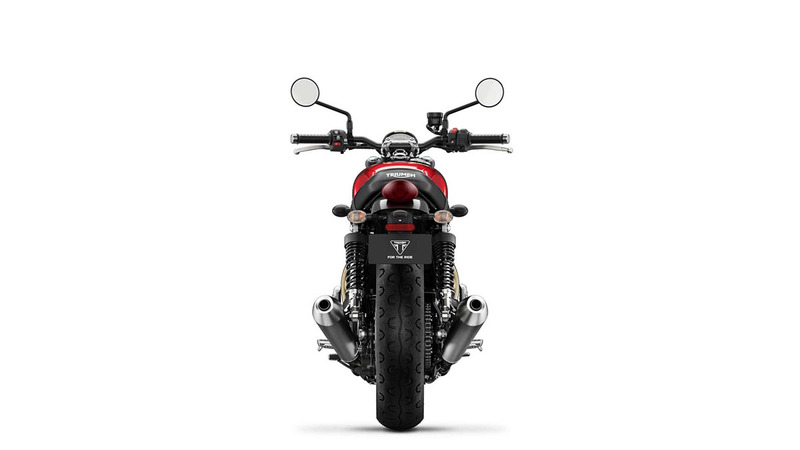 The Street Twin's stylish feature-packed single clock cleverly incorporates a digital menu system accessed by a handlebar mounted scroll button. Key features include: Gear position indicator, odometer, two trip settings, service indicator, range to empty, fuel level, average and current MPG, clock, access to turn off traction control. 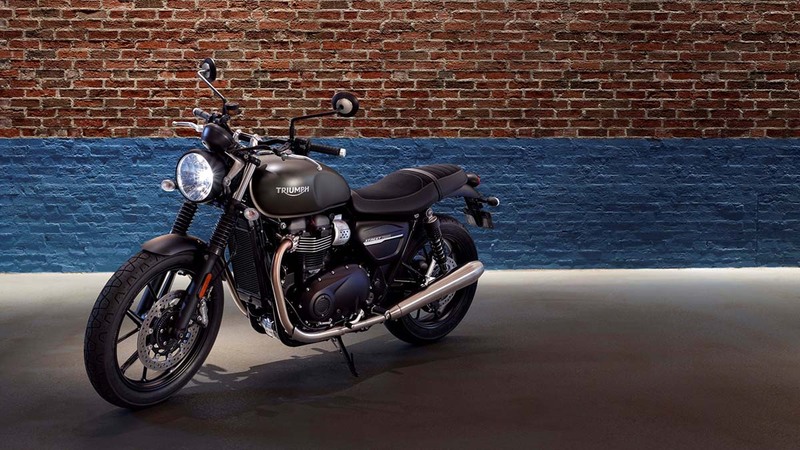 With a low seat for a comfortable riding stance, combining footpeg, handlebar and seating positions, a narrow front of seat area for great 'stand-over' ergonomics, substantial seat foam and enhanced suspension travel, the Street Twin is our most accessible Bonneville. "Single 310mm floating disc Brembo four piston fixed caliper, ABS "
LCD multi-functional instrument pack with analogue speedometer, engine rpm, odometer, gear position indicator, fuel gauge, range to empty indication, service indicator, clock, 2x trip, average & current fuel consumption display, traction control status display, TPMS ready & heated grip ready - controlled by a handlebar mounted scroll button.